This is gonna be a special one. 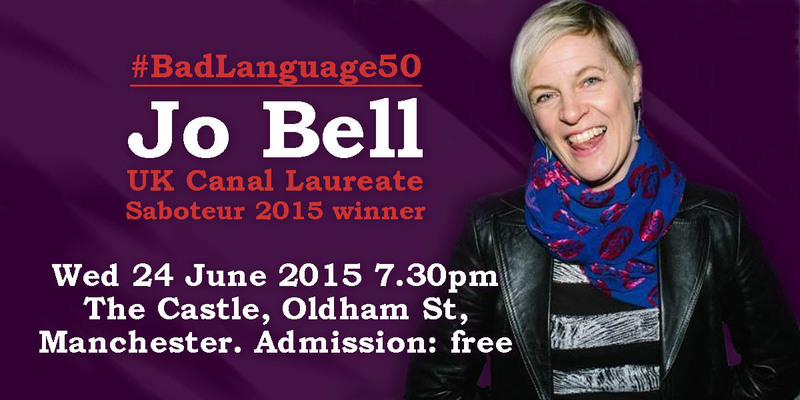 It’s our 50th regular Bad Language event, and we’re delighted to welcome back to our stage JO BELL. Jo is an outspoken, well-spoken poetry pundit. She is the UK Canal Laureate for the Poetry Society and the Canals & Rivers Trust. Her 52 Project won Best One-Off Event at the 2015 Saboteur Awards. Her new collection Kith is out now.